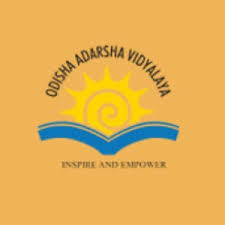 OAVS Recruitment 2018 – 1544 TGT, PGT, Principal Posts:- Odisha Adarsha Vidyalaya Sangathan (OAVS) has published latest notification for filling up 1544 posts of TGT, PGT, Principle, Art Teacher, Music Teacher & Computer Teacher on direct recruitment basis. Desirous & eligible candidates can apply online from 16/03/2018 to 10/04/2018. For Principal : Master’s Degree from a recognized University with at least 45% marks in aggregate. B.Ed. (a course prescribed by NCTE) from an institution recognized by NCTE and affiliated to a recognized University. For TGT : Bachelor’s Degree in Arts & Science in the concerned subjects with 50% in aggregate (45% for SC/ST/PH/SEBC candidates) along with a degree in Bachelor in Education (a course prescribed by the NCTE) from an Institution recognized by the NCTE and affiliated to a recognized University. For Physical Education Teacher (PET) : Degree/Post Graduate Degree in Physical Education i.e. B.P.Ed ./M.P.Ed. (a course prescribed by NCTE) from a recognized University/Institution. Proficiency in teaching in Odia and English medium. For Music Teacher : Senior Secondary School Certificate or Intermediate. Bachelor Degree in Music from a recognized University. For Art Teacher : Bachelor Degree in Fine Arts/Visual Arts from a recognized University. For Computer Teacher : B.E./B.Tech . in Computer Science or I.T./MCA/M.Sc., IT from a recognized University. For PGT : Two years Integrated post Graduate Course of Regional College of Education of NCERT in the concerned subject; with at least 50% marks in aggregate (45% for SC/ST/PH/ SEBC candidates) in the concerned subjects. OR Master Degree from a recognized University with at least 50% marks in aggregate (45% for SC/ST/PH/ SEBC candidates) in the concerned subjects. Bachelor Degree in Education (a course prescribed by NCTE) from an Institution recognized by NCTE and affiliated to a recognized University. Starting Date of Online Application :16/03/2018. Last Date of Online Application : 10/04/2018. Application Procedure : Eligible candidates may apply online through the website http://www.oavs.in from 16/03/2018 to 10/04/2018. Subscribe our free job alert mail for OAVS Recruitment 2018.